ASUS, the Global Leader and Taiwanese manufacturing company of Smartphones and IT Products and Technology has announced a free service camp for all its consumers in Kerala. This 10days long camp will start from 30th August’18 and will be applied up to 10th September’18 at the listed centers in Kerala. 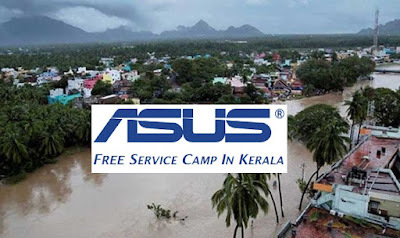 All ASUS consumers will have to pay nothing against labour charges means 100% discount on the labour charges. In addition, a 50% discount would be given on the water damaged parts of the products under warranty.